Cheers to a long weekend! The Linden Life: Cheers to a long weekend! It's the first long weekend of the summer, which is always something to cheer about. If the weather's nice we will hopefully head out to my family cottage for Sunday or Monday. We have dinner with friends planned for this evening, and I think that's about it for the plans. I'm looking forward to spending an extra day with the Littlest. In seven years we have lived in three different houses together, gotten engaged, gotten married, bought a house, added two dogs to the family, gotten pregnant, and added the best little guy to our lives! I think there are quite a few other things that should probably make that list too, like graduating from university, starting careers, and taking a few great trips. I imagine that the next seven years will be quite a lot different than the past seven years, but I'm looking forward to it! 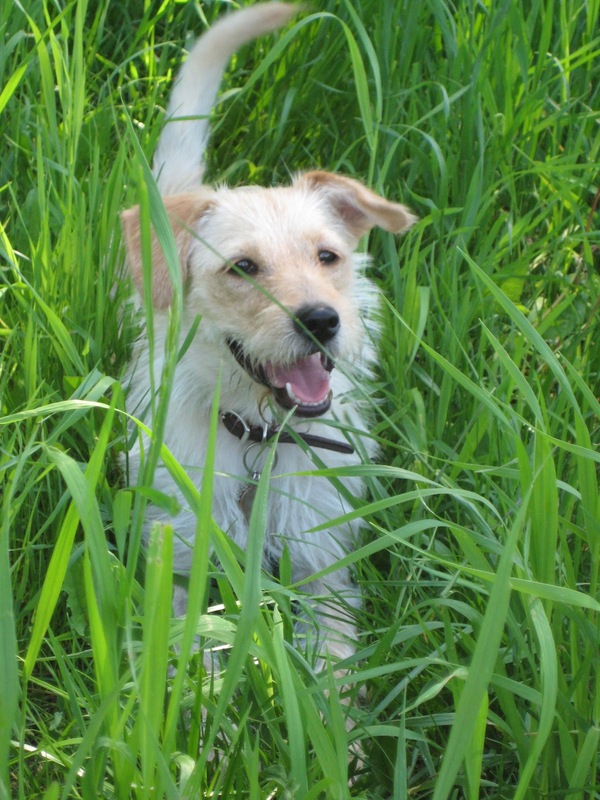 Another early dating picture, and then one of our first fur-baby! 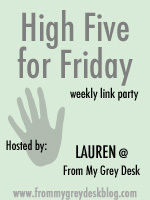 I'm linking up again with Lauren for High Five for Friday. Happy long weekend!! I love that picture of your furbaby in the grass! How cute is he. you two are stinking adorable! so glad you're at 7, it makes me feel better for being at 8. :) ... and of course, love the furbaby!